Dental implants have continued to advance in their capacity to restore health and vitality to smiles affected by missing teeth. These small fixtures lie beneath the gums, but they make all the difference when it comes to stability, comfort, a natural feel, and functionality. We are pleased to offer this standard of care to our patients. While the result of dental implant treatment is well worth it, one of the aspects of care that may cause apprehension is being without teeth while the implants heal into the jawbone. The process of osseointegration can take several months. During this time, one would normally be expected to be without teeth. Not at Levenson Smile. On the same day, we can extract and replace teeth from root to tip, letting you leave our Worcester office with renewed confidence. Initial consultation. Dr. Levenson begins care by conducting a comprehensive consultation visit with you. Before evaluating your teeth and gums, he wants to know about your concerns and your expectations. By understanding what you wish to accomplish, he can perform an examination to determine the most appropriate treatment. If same day restoration is suitable, diagnostic imaging will be done to prepare temporary tooth replacements for the day of surgery. Tooth replacement. Treatment is performed with local anesthetic. If necessary, unhealthy teeth will be extracted. Guided by computer simulation, implants will be inserted into strategic positions to support your chosen restoration. 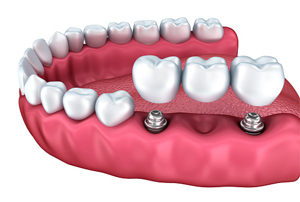 Implants may be used to stabilize a crown, bridge, or denture. Recovery. Although our streamlined process restores your smile in just one day, it will take time for the implants to fuse with the bone. This occurs over a few months. Dr. Levenson has served his local community with quality dental care since 1987. Since that time, he has also continued his own educational journey, becoming one of only a few hundred dentists in the country to achieve Fellowship with the Academy of Comprehensive Esthetics. 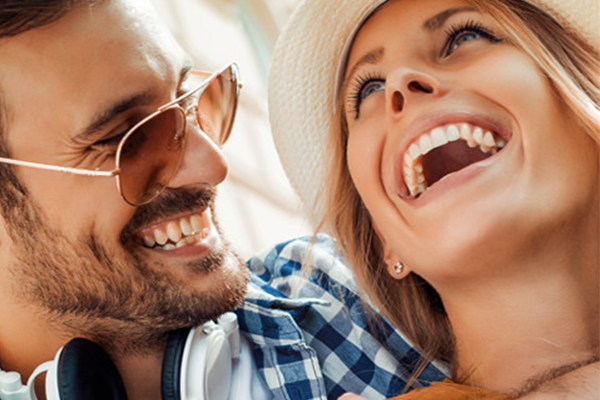 Your teeth serve a functional and esthetic purpose that affects your overall well-being. See how we can help you protect, restore, or replace them. Call (855) 849-8255.